Oh my. 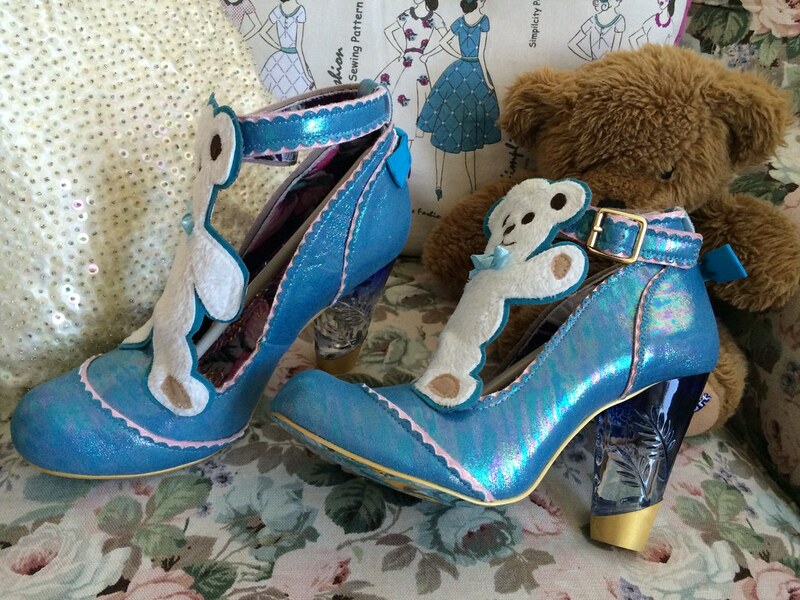 I was surprised by these Tiny Ted heels earlier in the week and can I just say, they've totally stolen my heart. 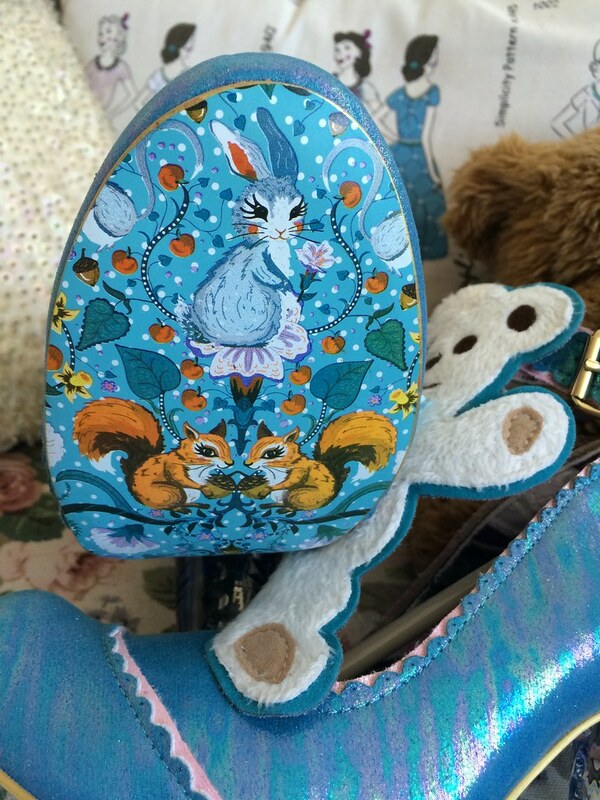 I'm a real fan of the new style of soles and shoeboxes, This season the theme seems to be leaves, acorns and woodland creatures, matching the fox and mouse on these Forest Pals flats. 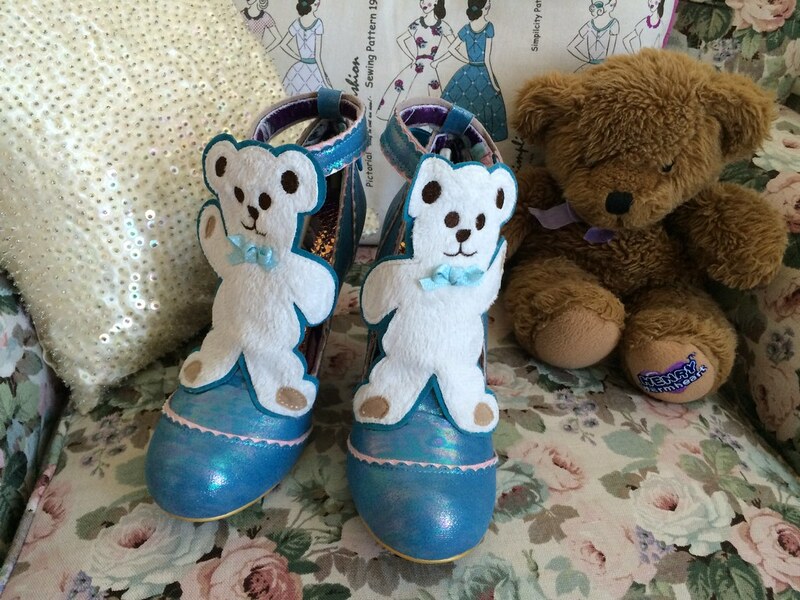 As for the heels themselves, the first thing I notice is of course the huge soft teddy adorning the front. I love the way he's mirrored on each shoe and looks as though he's waving. The rest of the shoe is covered in this pretty iridescent turquoise fabric, which seems to change colour as the light catches it. Of course, the ubiquitous perspex heels make an appearance, in a lovely shade of pale blue. And I love the attention to the little details. The bows on the backs of the shoes, the delicate scalloped edging around the ankle strap and the fronts of the shoes, just add to the cutesy nature of these. I can't wait to wear them. I could wear these for about 5 minutes before getting the bear dirty! 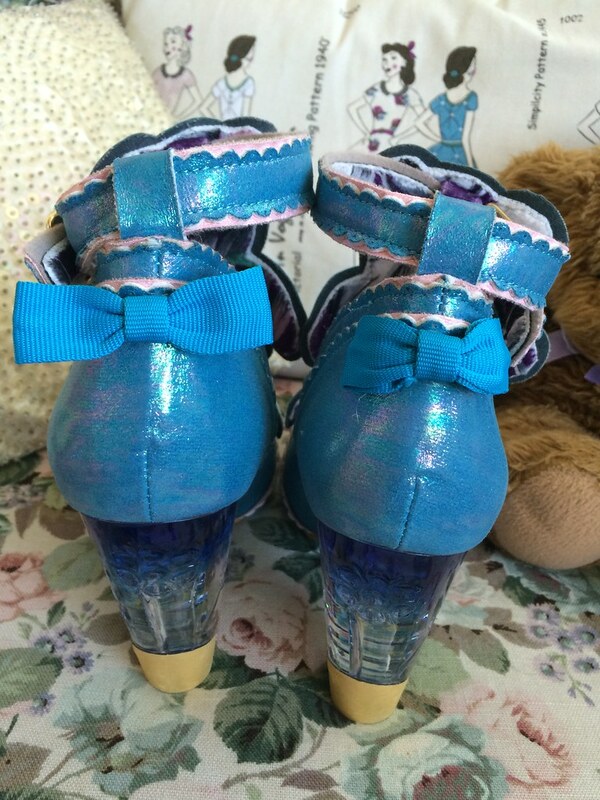 But they are very cute, and I love the iridescent blue!